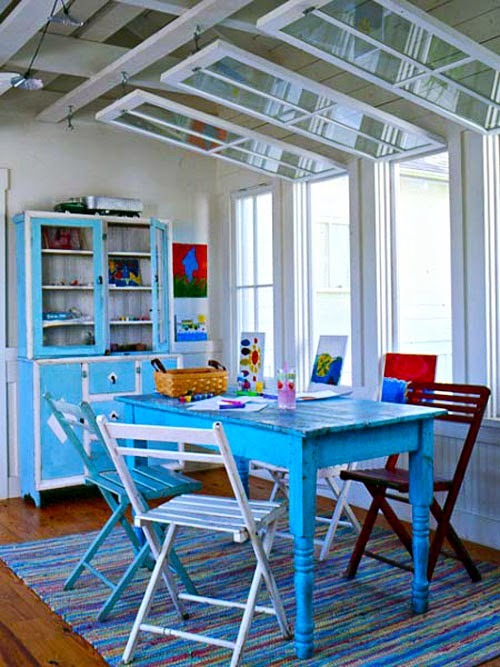 These dining rooms may not be small but the dining tables are and its pretty. 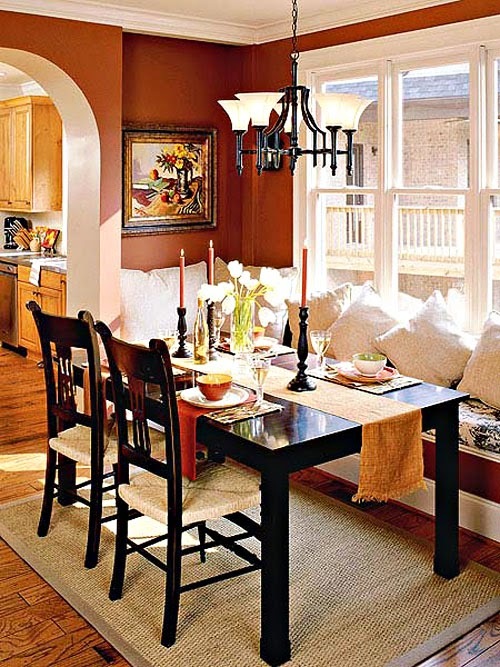 This is suited for those who do not have a formal dining room. The rustic design blends perfectly with its surrounding. Everything seems recycled. Saves the environment. All set for that candlelight dinner!